Bharti Airtel and Reliance Jio are the two telecom operators to watch out in 2018 because the former is becoming aggressive again to compete with the new entrant. In a run against Reliance Jio’s Republic Day tariff plans, Airtel has revised the popular Rs 399 prepaid plan, which now offers benefits in-line with Jio’s Rs 399 prepaid plan. Yes, Airtel has updated its Rs 399 plan with 1.4GB data per day on offer and a validity period of 84 days (at least for some users). With the Rs 399 plan, Jio is giving 1.5GB data per day for the same validity period of 84 days. That said, Airtel has managed to match Jio with this plan in the validity, but the data benefit is slightly on the lower side. Since the start of April 2018, Airtel has introduced a couple of new prepaid plans (Rs 499 and Rs 249) and reintroduced the popular Rs 649 postpaid plan. And now, it modified the Rs 399 prepaid plan with better data benefit. Airtel is now giving 1.4GB data per day with the Rs 399 plan along with unlimited voice calls and 100 SMS per day. 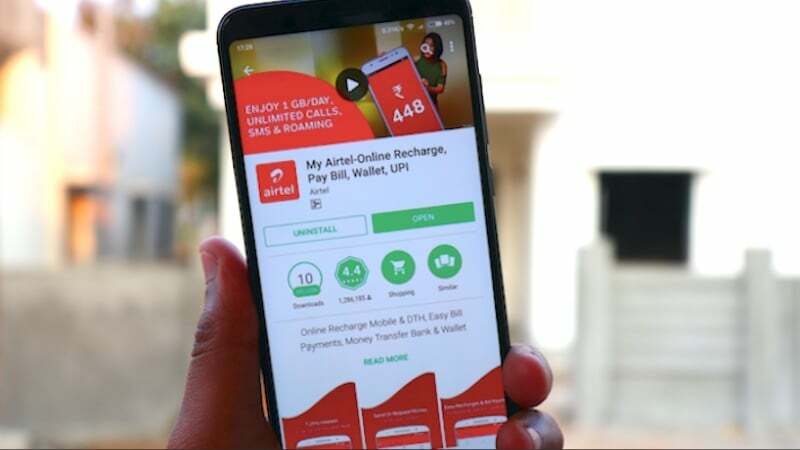 Earlier, the same Airtel plan offered 1GB data per day, so now, the plan’s in-line with the company’s Rs 198, Rs 448 and Rs 509 prepaid plans in terms of data benefit. The Rs 399 plan comes with 84 days validity for some users, while for some users, the validity is limited to 70 days. Reliance Jio has been offering the Rs 399 prepaid plan for quite some time now. This plan is part of the company’s 1.5GB data per day plans. The Jio Rs 399 prepaid plan gives 1.5GB data per day, unlimited voice calls and 100 SMS per day for 84 days. And the validity is same for all the users across the country. It’s clear that Reliance Jio is still ahead of Airtel with the Rs 399 prepaid plan, but Airtel being the leading telecom operator of India with over 290 million subscribers is trying to match Reliance Jio, which is a good sign for the telecom subscribers in India. Airtel’s Rs 399 now offering 117.6GB data for some users and 98GB for some users, while Jio is giving 126GB for all the users. If Airtel manages to offer the Rs 399 plan as an open market plan with 84 days validity and 1.4GB data per day, then Reliance Jio will be put under severe pressure, and there are chances that it might come up with new tariff plans very soon. In madhya Pradesh only Airtel Provides Good Coverage with Best 4G speeds even in rural areas.